VENTOLIN is produced by GSK, which contains Salbutamol). It is best medicine for asthma ans bronchitis. It is being used for the relief of bronchospasm in bronchial asthma of all types, chronic bronchitis and emphysema. It’s sugar-free syrup. If you are facing problems while taking breath, all you need to take this medicine as a remedy. Precautions:Do not use VENTOLIN if you are allergic to Sulbutamol. Concern your doctor, if you have any of these diseases. Side Effects: Tremors, Tenseness, Headache etc. VENTOLIN INHALER is actually a bronchodilator, which increases air flow to the lungs. 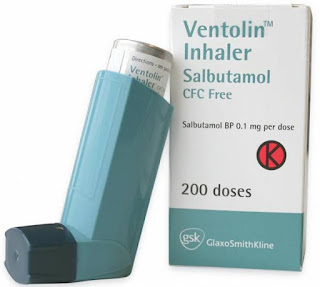 Patients who are facing problems while taking breath can use VENTOLIN INHALER is best medicine for asthma. If your disease is severe, just keep VENTOLIN INHALER on hand at all times. You need to shake the canister, before each spray. My son was given Ventolin when he has bad cough and cannot breath properly.